There are worse things than gaining free money just for going about your everyday life. For example...well, anything really. Kasasa Saver is linked to your free Kasasa Cash checking account. The rewards you earn in Kasasa Cash are automatically deposited into Kasasa Saver. Where you earn 4x the national savings average. ** So kick back as your savings roll in! 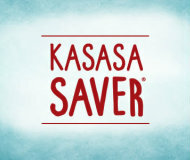 There are no additional qualifications to receive the Kasasa Saver reward rate. Basically, if you qualify for Kasasa Cash rewards, the Saver rate automatically becomes yours too! If you don't meet the qualifications one month, don't worry. There is never a penalty, and both accounts are still free and earn our base dividend rate. You can always jump back to earning the full rewards the very next month. APY = Annual Percentage Yield. All APYs are accurate as of 2/27/12. The advertised Kasasa Cash APY is based on compounding dividends. The dividends earned in Kasasa Cash is automatically transferred to Kasasa Saver each statement cycle and do not compound. The actual dividends paid could be less than the advertised Kasasa Cash APY.  The Kasasa Saver APYs may be less than the Kasasa Cash APYs. All rates may change after the account is opened. Fees may reduce earnings. The minimum to open is $1.00 for Kasasa Cash and $1.00 for Kasasa Saver. * Balances up to $5,000 receive an APY of 2.50% if qualifications are met each monthly qualification cycle. Balances above $5,000 receive an APY of 0.50% on the portion of the balance above $5,000 if qualifications are met each monthly qualification cycle. As a result, the APY for balances above $5,000 will range from 2.50% - 0.60% if qualifications are met each monthly qualification cycle, depending on the balance in the account. If qualifications are not met, the APY will be 0.05% on all balances. Qualifying transactions must post and clear the Kasasa Cash account during the monthly qualification cycle. Transactions may take one or more business days from the date the transaction was made to post to an account. Transfers between your accounts with us do not count as qualifying transactions. ** Balances up to $3,000 in the Kasasa Saver account receive an APY of 0.40% if qualifications in the Kasasa Cash account are met each monthly qualification cycle. Balances above $3,000 receive an APY of 0.10% on the portion of the balance above $3,000 if qualifications in the Kasasa Cash account are met each monthly qualification cycle. As a result, the APY for balances above $3,000 will range from 0.40% - 0.11% if qualifications in the Kasasa Cash account are met each monthly qualification cycle, depending on the balance in the account. If qualifications in the Kasasa Cash account are not met, the APY will be 0.05% on all balances in the Kasasa Saver account. Withdrawals are limited to six per statement cycle on Kasasa Saver. Excess withdrawals may result in $3 charged per excess withdrawal and/or in account being closed. *** Domestic ATM fees up to $5 per item per month incurred during the monthly qualification cycle will be reimbursed if qualifications are met during the monthly qualification cycle.